The training, which lasted from 10:45 AM until 4:15 PM, was well attended and addressed a range of subjects relevant to immigrant identities, including but not limited to: the Trump administration’s recent actions regarding immigration policies, legal and cultural terminology related to immigration, the mental and emotional effects of being undocumented in the United States, the differences between Temporary Protected Status (TPS), Deferred Action for Childhood Arrivals (DACA), Development Relief and Education for Alien Minors (DREAM), and asylum. Intergroup dialogue was a key part of the day, as discussion groups were formed after each section and participants were asked to have a dialogue about the information that had just been presented. These dialogues allowed participants the opportunity to process information, develop questions, and prepared them to move to the next topic of discussion. Multi-media was an integral element in the training, as two videos made lasting impressions on the trainees. The first video “Broken Tail Light” depicts the all-too-real experience of parents being taken from their children during a traffic stop and left many participants emotional. This video demonstrates the traumatic situations that are every day concerns for undocumented people in the United States. While the training certainly explored the struggles and pain that many immigrants experience, both documented and undocumented alike, it also celebrated their successes and their joy. The video “UndocuJoy” chronicles the joy that they experience every day, their unique abilities, and their hope for the future. Issues of immigration weren’t limited to a national stage, as the training also looked at Centre’s own policy concerning students with DACA status and TPS. Centre is not currently a sanctuary campus but President Roush, on August 8th wrote, “we remain committed to supporting affected ‘dreamers’ currently enrolled at Centre College and finding a permanent solution that provides legal protection for these students, along with pathways to permanent legal status and citizenship for those who are currently undocumented.” Staying updated on issues pertaining to immigration on both a national and local level was a key focus of the training. 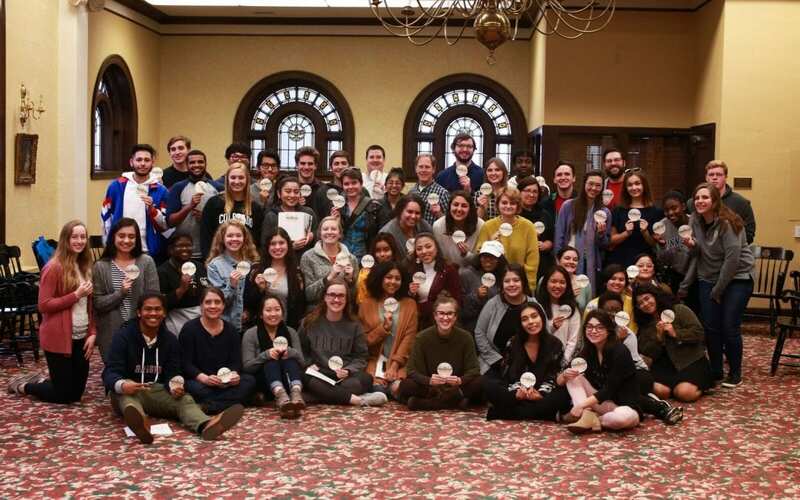 The training wrapped up with a large intergroup dialogue about how faculty, students, and staff could be better allies to undocumented people and other immigrants on campus. The group then selected five strategies for being good allies and signed a pledge promising to practice those strategies in their everyday lives. For more information about how to support undocumented people and students you can check out United We Dream’s webpage or sign up for next semester’s UndocuPeers training.